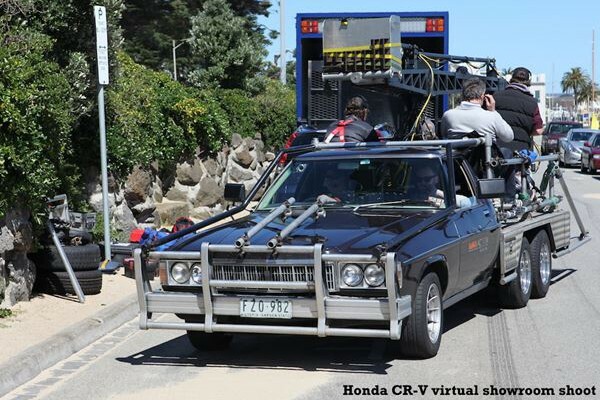 Max Action Vehicles & FlyCam have teamed up to bring Australia’s first MOTOCRANE ULTRA. 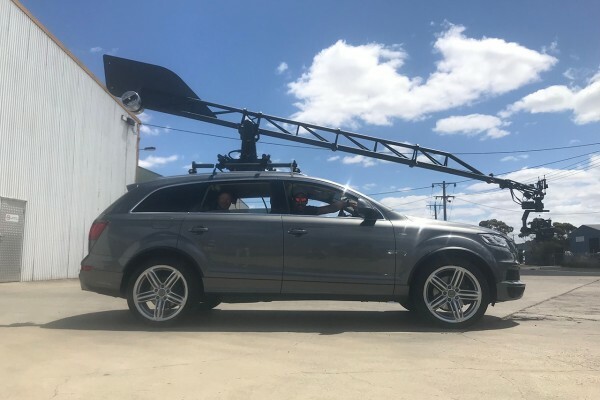 Based in Melbourne, this Gyro Stabilized robotic camera crane system is suitable for all sorts of shoots. At an arm length of 3.65 meters (12ft), the ‘MotoCrane Ultra is a smaller version of a Russian Arm and very suitable for smaller budget shoots. Supplied with the award winning Shotover G1 Gyro stabilized 3 axis head in conjunction with the fully automatic ULTRA, it can deliver shots of unparalleled steadiness. 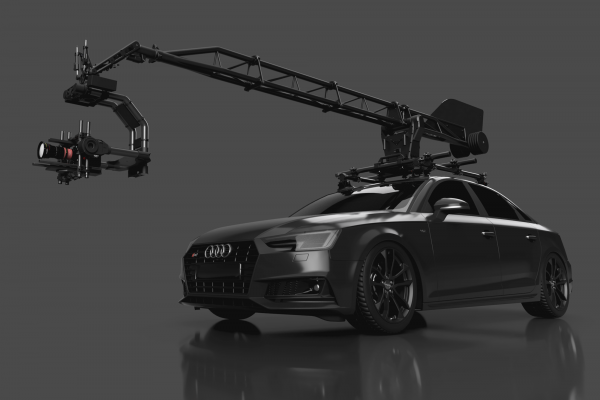 The Crane is mounted on a purpose set-up vehicle – AUDI Q7 which seats 6 persons. We also offer a LOW LOADER TRAILER with complete platforming to suit all requirements. 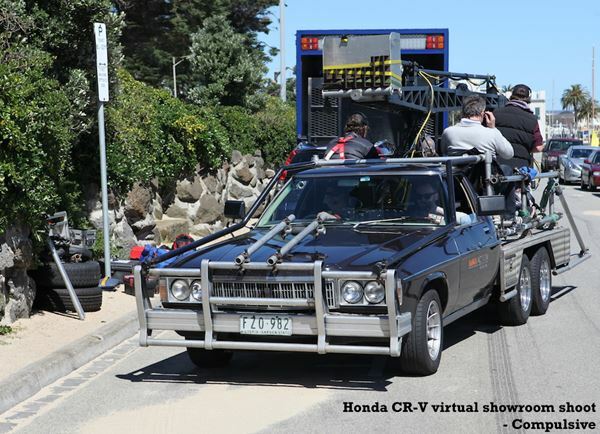 The Tracking Vehicle & Low Loader are Vic Roads permitted – copies available upon request. 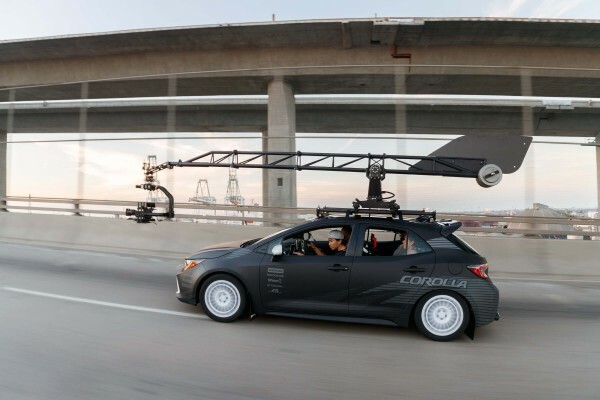 Tracking Vehicle / Low Loader is booked through FREELANCERS – PH 9682 2722. Please contact MAX ACTION VEHICLES for a rate sheet or any other enquiry.